One of MI5’s agents, Olga Gray, succeeded in becoming secretary to Harry Pollitt, Secretary General of the Communist Party of Great Britain. Gray had mastered the art of being inconspicuous. She had, wrote her case officer Maxwell Knight, ‘attained that very enviable position where an agent becomes a piece of furniture, so to speak: that is, when persons visiting an office do not consciously notice whether the agent is there or not.’ Gray succeeded in unmasking a Soviet spy ring in the Woolwich Arsenal, headed by Percy Glading, a Communist Party official. 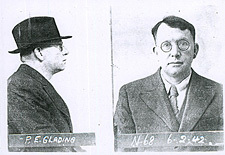 In the aftermath of Glading’s conviction, MI5’s head Vernon Kell underestimated the continuing threat from Soviet espionage. He rashly declared at a liaison meeting with France’s pre-war foreign intelligence service, the Deuxième Bureau, in January 1939 that ‘[Soviet] activity in England is non-existent, in terms of both intelligence and political subversion.’ As the first year of the Second World War was to show, Kell, by then the longest-serving intelligence chief in British history, had stayed too long in his job. MI5 was unaware that in the mid-1930s, Soviet intelligence had begun a new agent recruitment strategy, based on bright young Communists or Communist sympathisers from leading universities. who were told to break all links with other Communists and use their talents and educational success to penetrate the corridors of power. The most successful of ‘Stalin’s Englishmen’ were the ‘Cambridge Five’—Kim Philby, Guy Burgess, Donald Maclean, Anthony Blunt and John Cairncross—possibly the ablest group of foreign agents ever recruited by Soviet intelligence. MI5’s slender pre-war resources allowed it to recruit fewer bright young British graduates than Soviet Intelligence. The future for Soviet espionage in Britain at the outbreak of war was brighter than it had ever been before.